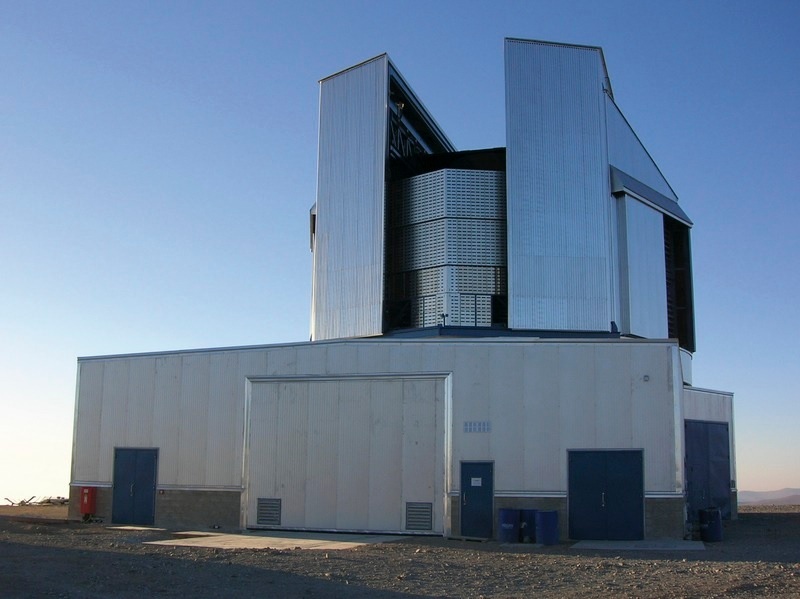 Because sub-millimetre radiation from space is heavily absorbed by water vapour in the Earth’s atmosphere, APEX is located at an altitude of 5100 metres on the Chajnantor plateau in Chile’s Atacama Desert, one of the driest places on Earth, where unsurpassed observing opportunities are available. As its name implies, APEX is the pathfinder to the ALMA project. It is a modified ALMA prototype antenna and shares the site of the ALMA observatory, which is itself now fully operational as the world’s largest ground-based facility for observations in the millimetre/submillimetre regime. ALMA comprises a giant array of fifty-four 12-metre antennas and twelve 7-metre antennas, which — thanks to the pioneering efforts of APEX — enables transformational research into the physics of the cold Universe, probing the first stars and galaxies, and directly imaging the formation of planets. Several of APEX’s strengths, such as its capability to map very wide areas, are highly complementary to ALMA.